In approaching the second decade of the Global Heritage Fund, I have spoken of “Leading With Expertise”. This means going into a heritage sites in a developing region not with a massive restoration plan but with the best minds in modern conservation. This allows you to determine the best plan from both a conservation and community point of view, by determining precisely what the problems are and how best to approach them. It means resources are used more wisely, and by bringing in the best conservation experts we can leverage more partners, spreading the cost burden across many international, national and local entitites. 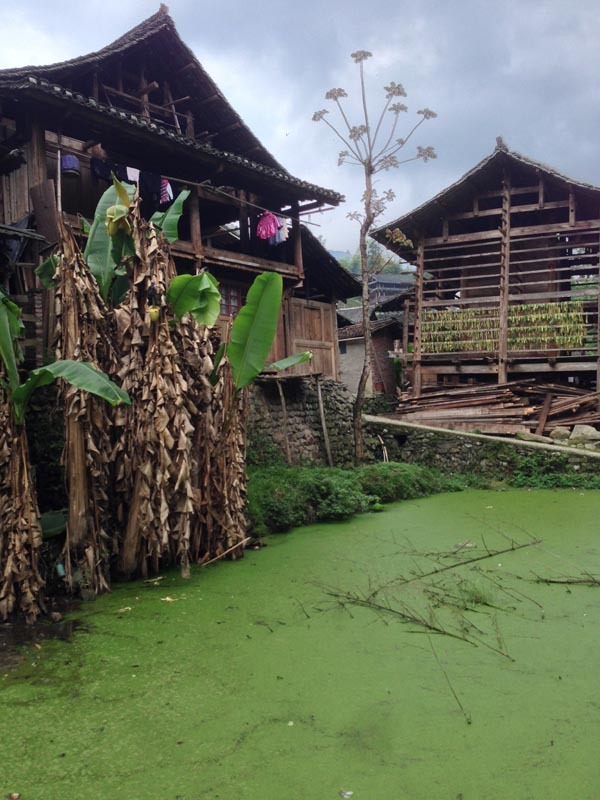 This is what we did in the past week’s mission to Weishan, Yunnan, China. 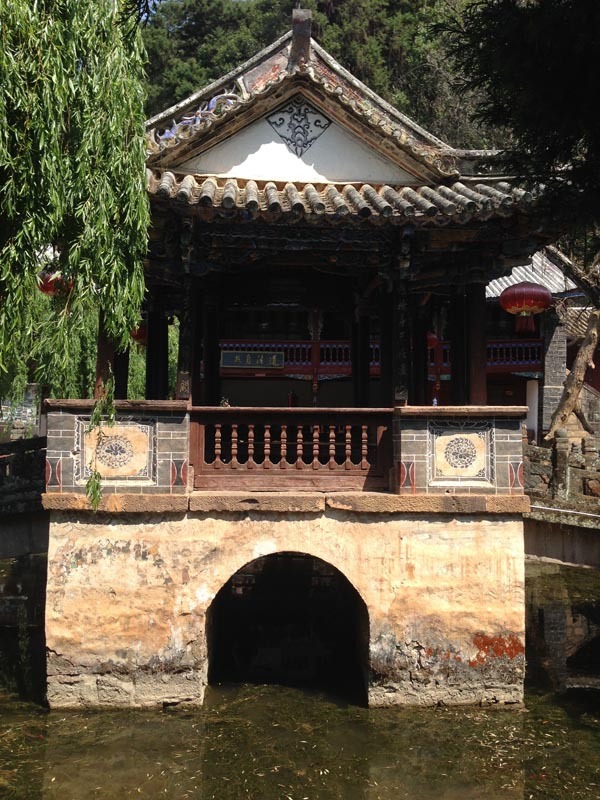 Readers of this blog will recognize the Southern Silk Road city where I have worked over the last eleven years. 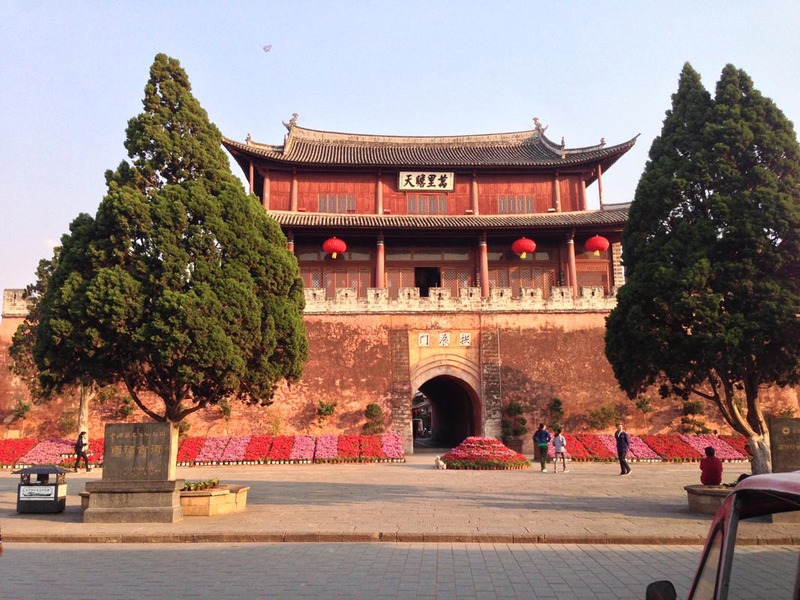 Weishan was the home of Zhi Ni Ni who founded the Nanzhao Empire in 7th century AD. Weishan Heritage Valley includes Weishan town with national landmark North Gate, which dates back to 1390, and several Ming era temples and courtyards, the Dong Lian Hua Muslim village national landmark, the Weibaoshan temple mountain with the national landmark Chang Chuen temple, and 22 other Taoist and Buddhist sites. 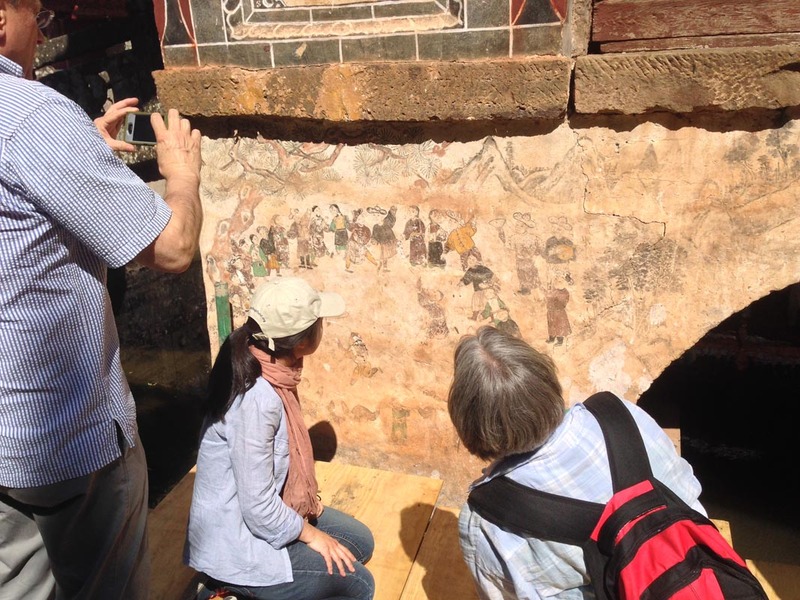 Most recently, GHF brought international conservation expertise to Weishan to develop recommendations for preserving the Yi people mural “Dancing Under The Pine Trees” at the Wen Chung temple on the sacred mountain Weibaoshan. 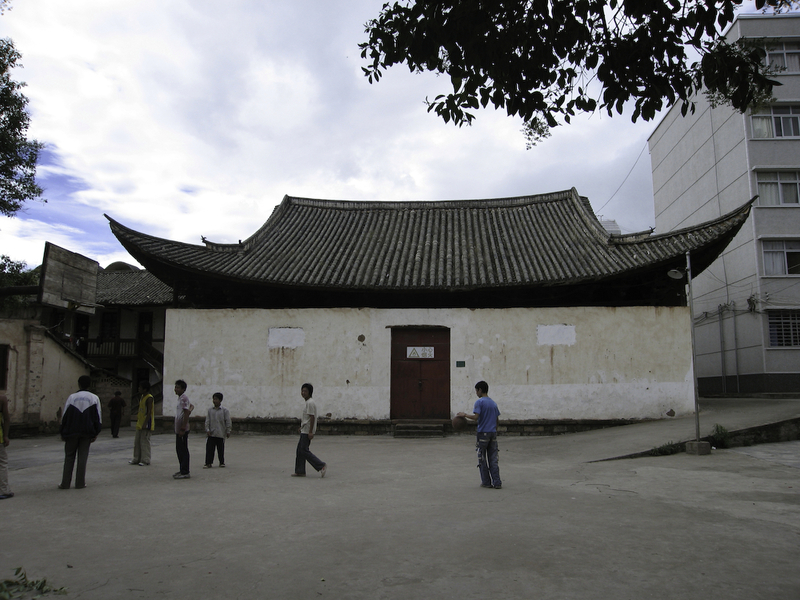 Painted in 1759, the mural is the symbol of the Yi people of Weishan and documents their cultural traditions, but is threatened by moisture, structural weakness, and environmental factors. 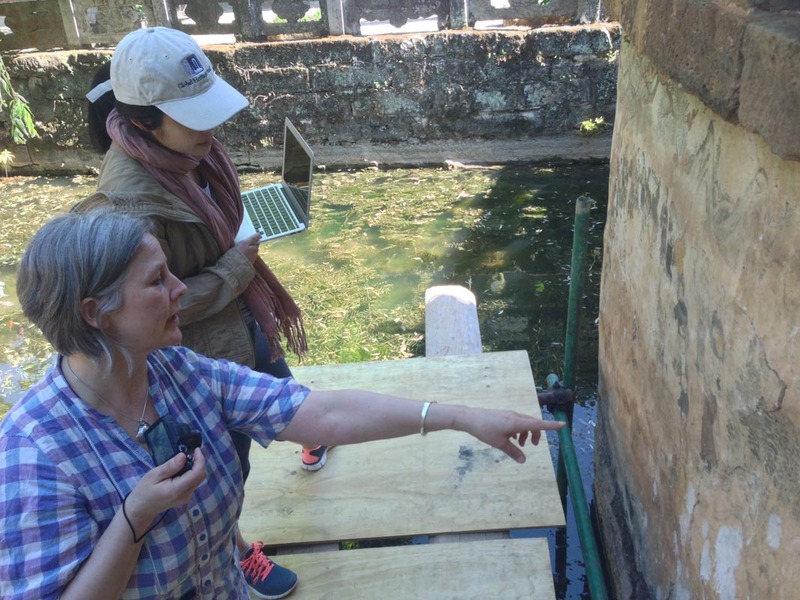 Karena Morton, an international mural conservator who works for the National Museum of Ireland, spent three days meticulously documenting and analyzing the issues affecting the mural, which include its position on a pavilion situated in a pool in the innermost temple courtyard. 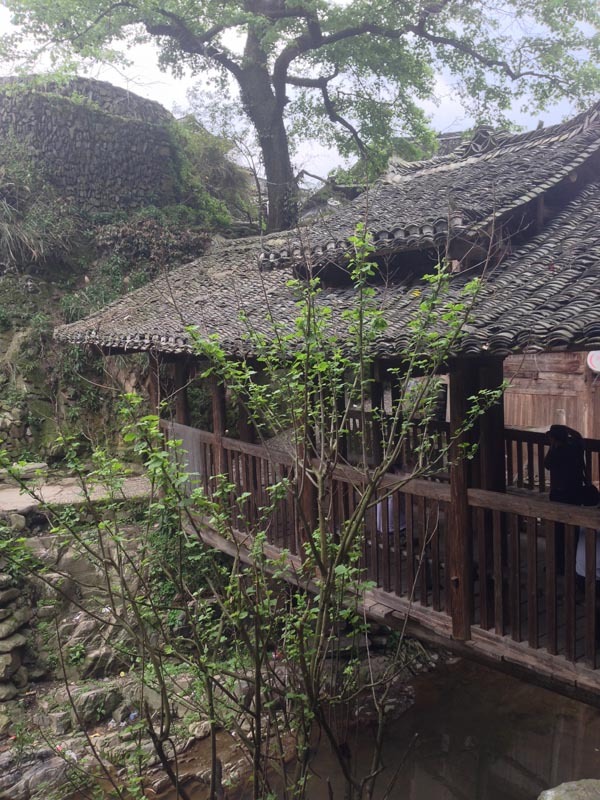 By “leading with expertise,” GHF is helping Weishan make the right conservation decision for this cultural icon, insuring that local officials spend their money wisely. 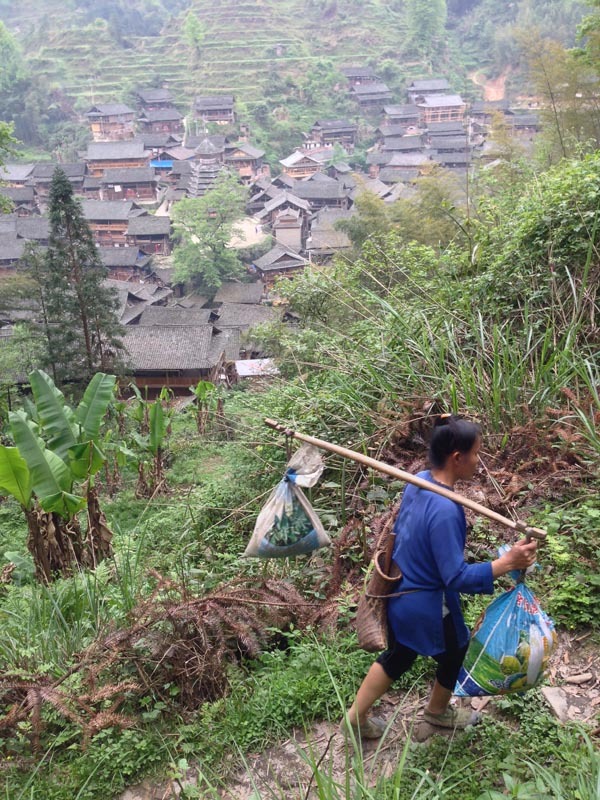 Our work in Guizhou is also emblematic of “leading with expertise” because the challenge here, as elsewhere in China, is not the infusion of funds but the organization of the effort and GHF’s own Han Li, China Project Director since 2008, is the organizational nexus of the combined efforts of UNESCO, the Guizhou Cultural Ministry, Peking and Tongi Universities, and the Chinese NGO You Cheng, which works to conserve intangible heritage. 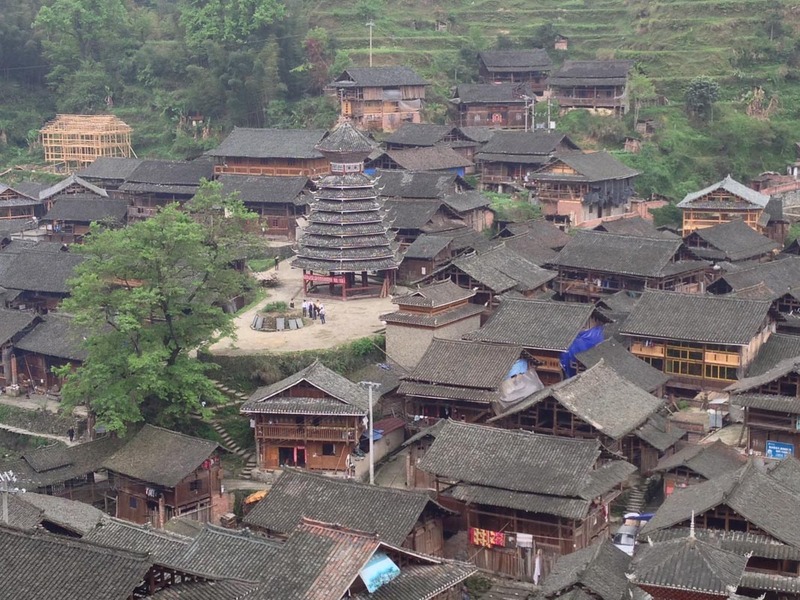 As Han said in a recent program on Chinese television, the goal in Guizhou with villages like Dali Dong is not to make them tourist sites, but to add tourism while buttressing the basic economic vitality of the village within its traditional built and natural environment. 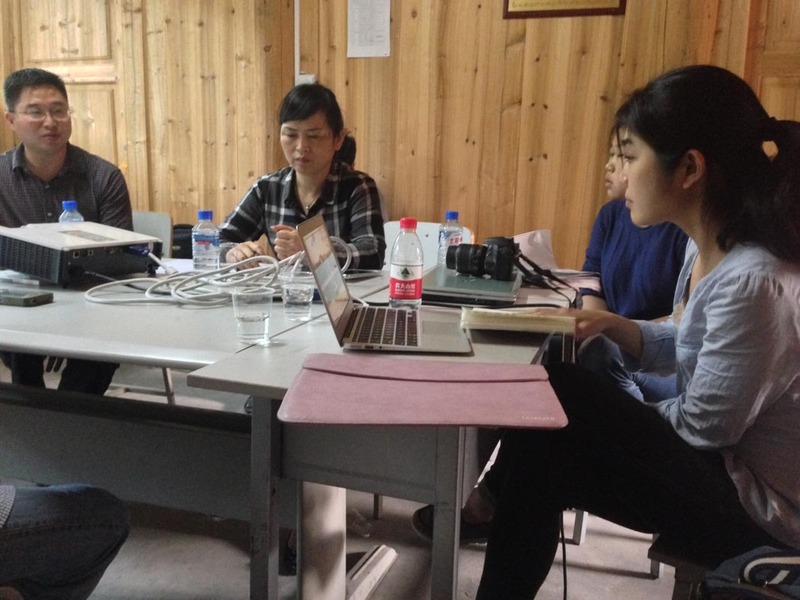 Han Li’s expertise has led the Provincial Department of Culture to place her at the center of the project, leveraging the resources of Global Heritage Fund tenfold, with contributions by Peking University and UNESCO as well. 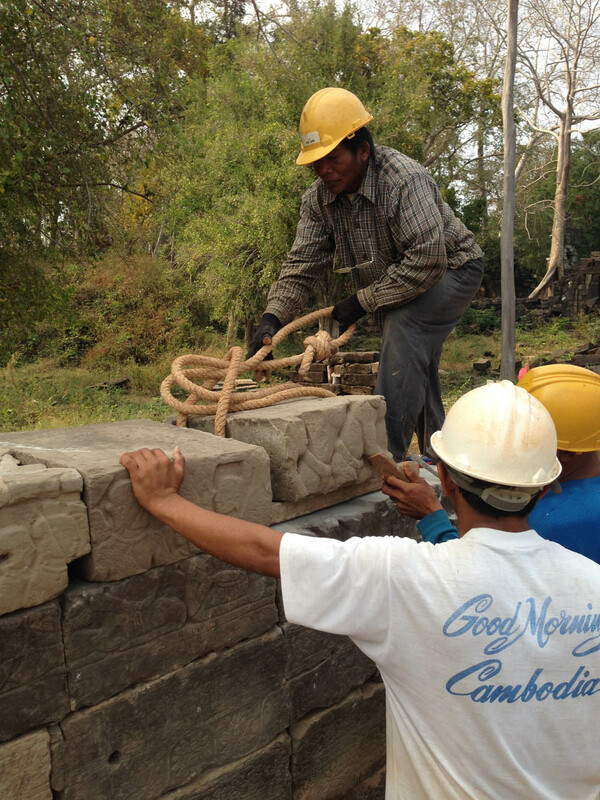 Our impact is not defined by the size of our investment, but by the expertise of our people, who have assembled broad partnerships to achieve a common goal, conserving a traditional village, its agricultural landscape and ways of life. That is a tall order, but another expert, Dr. Du Xiaofan of UNESCO’s Beijing office, is pioneering the cultural landscape model in China. The goal is to promote community equality and involvement – as the Burra Charter calls for – rather than bring in tons of outside funding. Tourism can supplement the local economy, but must not replace it – for if the local culture is lost, there will be no reason to visit. 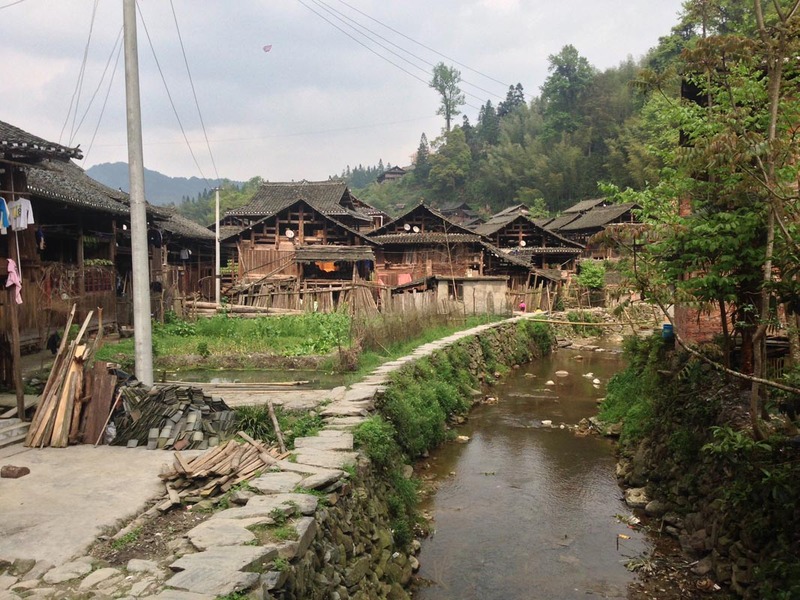 Global Heritage Fund also brought Gerald Adelmann, director of Openlands Project and Board member of the Center for US-China Arts Exchange at Columbia University, to Guizhou to see the project at Dali Dong village. I have worked with Jerry for three decades, since he pioneered the combination of cultural and natural conservation with the first heritage area in the United States. 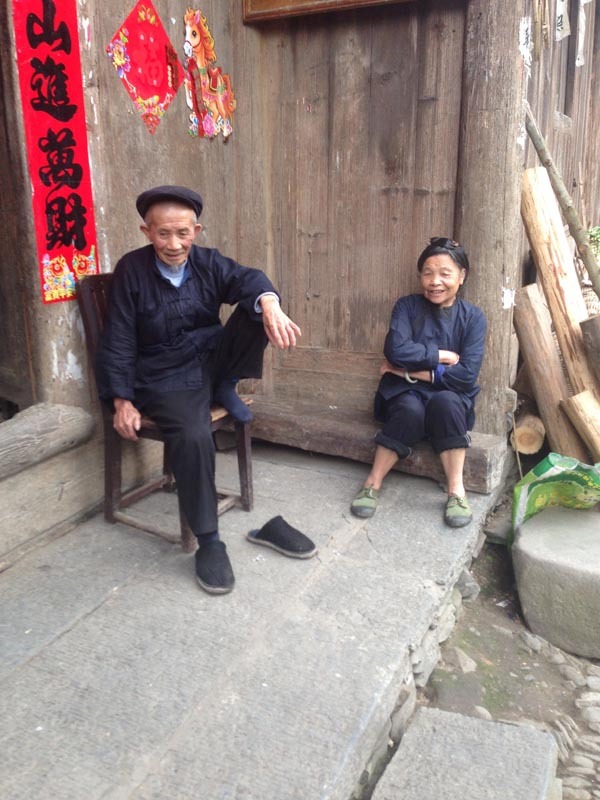 Jerry brings a wealth of experience to the challenge of preserving traditional villages, not just their architecture but their agricultural lands, their crafts, and their patterns of life. This is the greatest challenge of the 21t century, one GHF is tackling from Transylvania to Timbuktu. 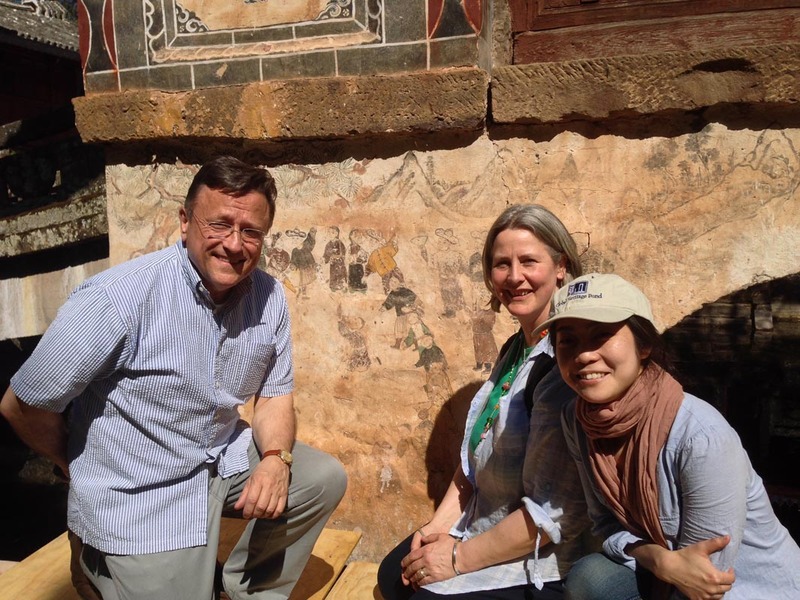 Jerry Adelmann, Karena Morton and Han Li at Yi people mural, Wen Chung Palace, Weibaoshan. 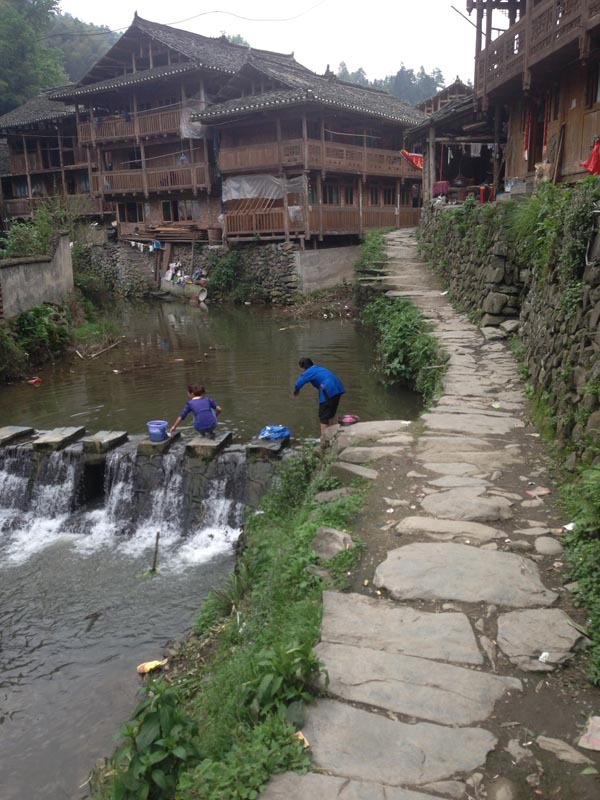 As a rapidly developing country, China has arguably emerged from developing status and does not present the same economic challenges as other GHF sites. 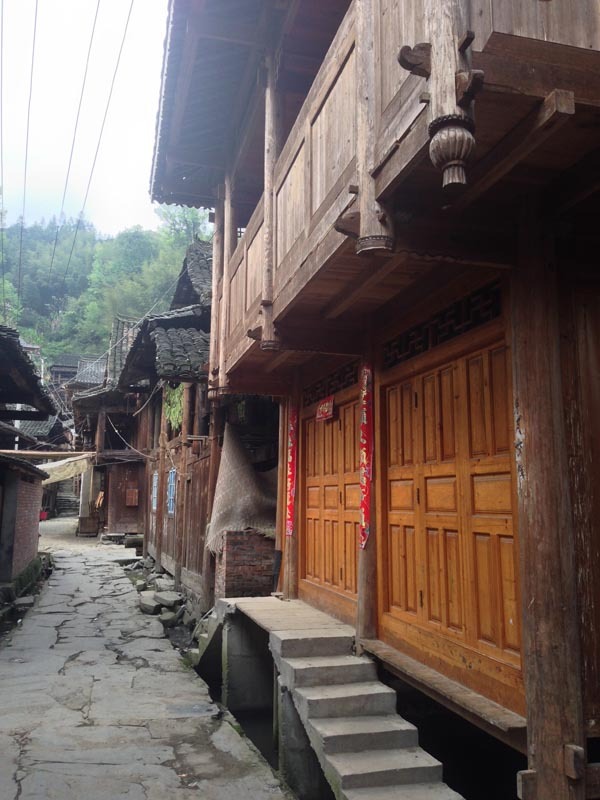 But their need for expertise is clear and explicit, from the overreliance on tourism that threatened to destroy the city of Lijiang (GHF’s first project in China) to the current cultural landscape challenge in Guizhou. 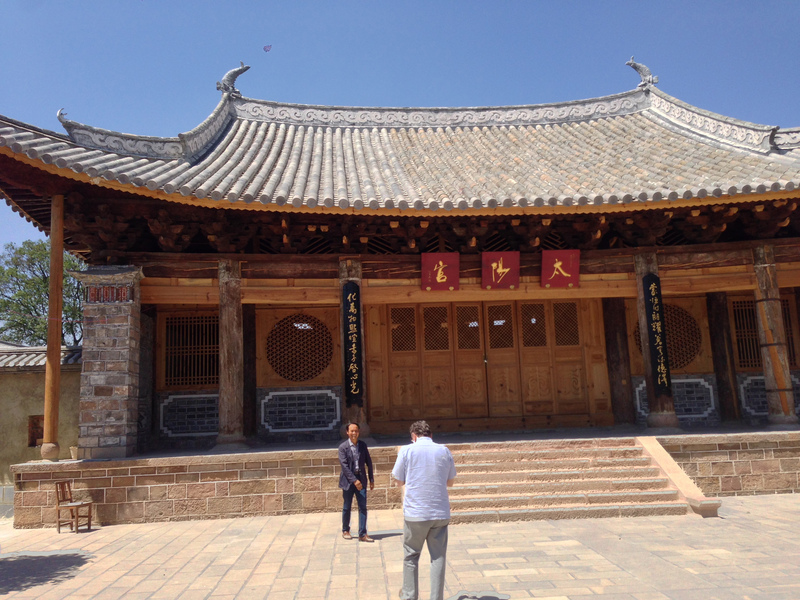 Dr. Wang Hongguang told me that international expertise is needed because research in cultural heritage issues is not yet advanced enough in China. Thus, targeted model projects and the expertise brought by GHF through people like Han Li, Karena Morton and Jerry Adelmann can easily leverage ten times the investment. More importantly, this expertise means that China will have examples of the right way to approach key cultural sites, and will in the future be able to replicate and even export these models. 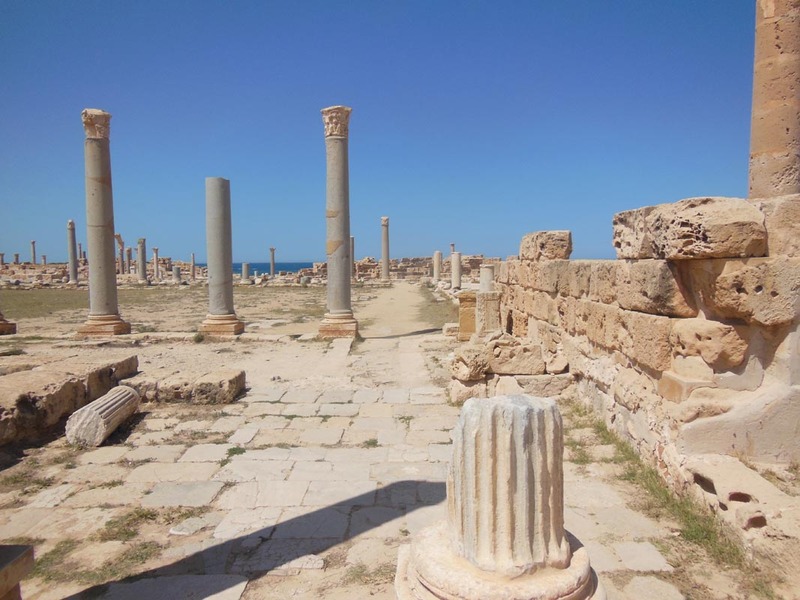 Support Global Heritage Fund Today! Last week at the invitation of the Stavros Niarchos Foundation I participated in a conference on youth unemployment in Greece. The first day featured leading labor economists defining the scope and depth of the problem, which is quite staggering in a nation where youth unemployment reaches 60%. The keynote was by Jeffrey Sachs, who discussed the particular place-based challenges of youth unemployment and the challenge of technology, especially robotics. He proposed focusing on export, which includes tourism. A variety of other scholars and professionals also spoke, including Alan Krueger and Richard Freeman, who proposed that Greece target the growing Chinese tourist market. Many, including Robert Lerman, talked about how to train or educate youth for the next economy. Day Two was more upbeat, beginning with a keynote by Mike Lazardis, who invented the smartphone and enthused us all about the connection between research and economic growth. Next up were plenaries discussing where the problem could be addressed, including Agriculture, Entrepreneurship and Cultural Tourism. 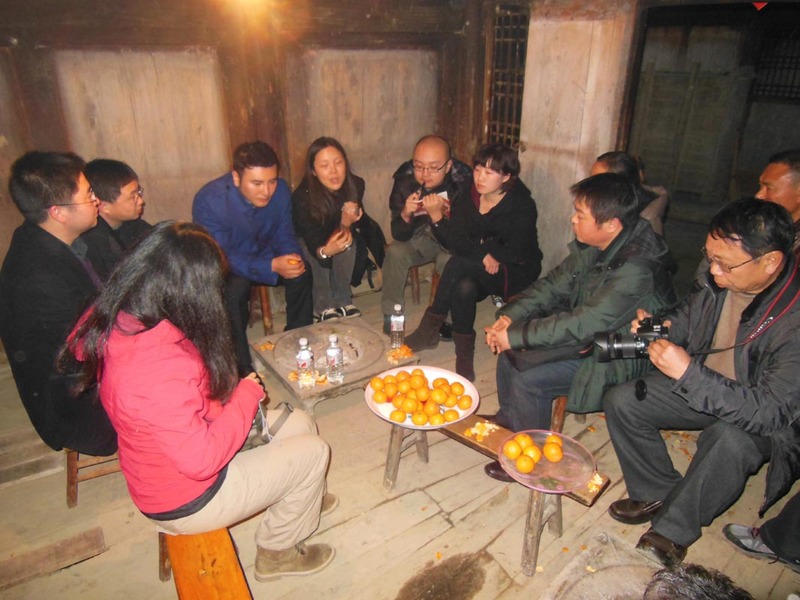 It was my role to respond to the potential for addressing unemployment through cultural tourism, which is precisely what we do at Global Heritage Fund. 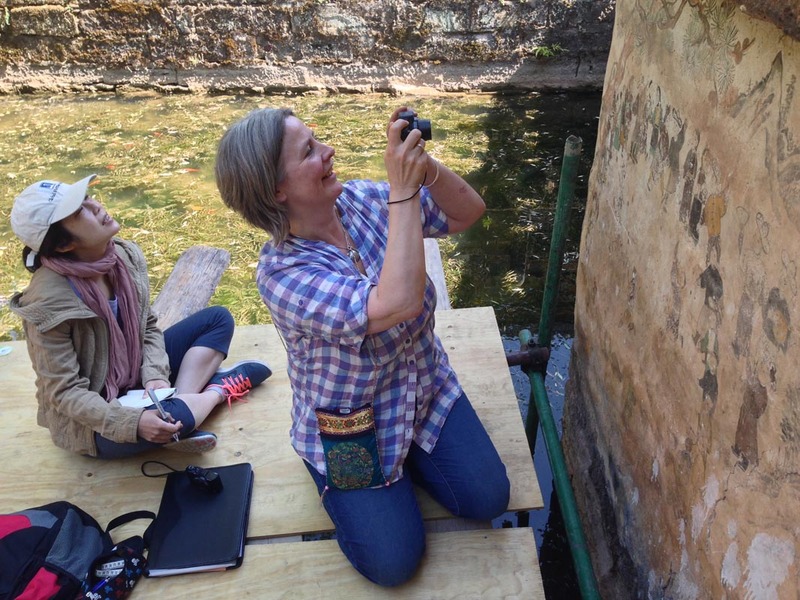 I described GHF’s mission – to save threatened heritage sites – and how sustainability only comes through stewardship. How do you create stewardship and ownership? 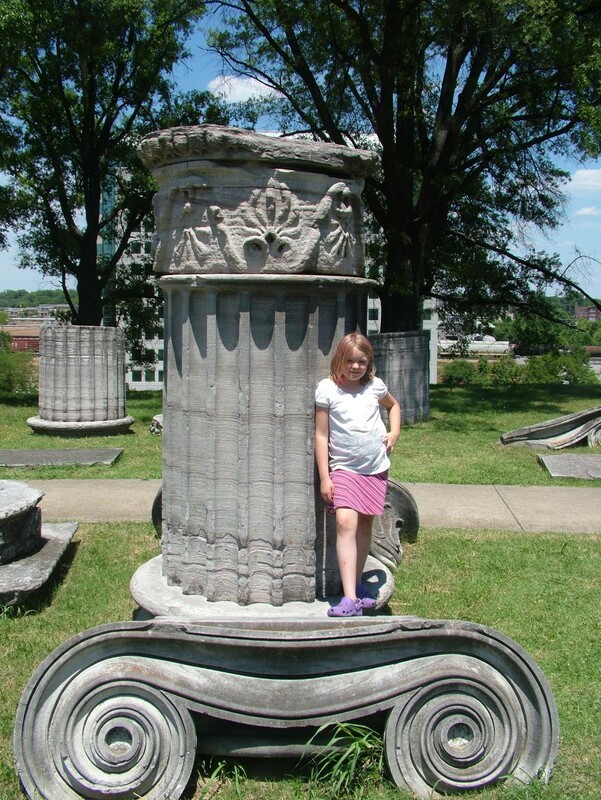 By insuring that the heritage site redevelopment benefits the local community, the only long-term stewards. Heritage practice gives us a process, following the Burra Charter, to integrate the community into the planning process from the beginning. I talked about community based tourism and the challenge of revenue capture – how do you keep the money in the local community? 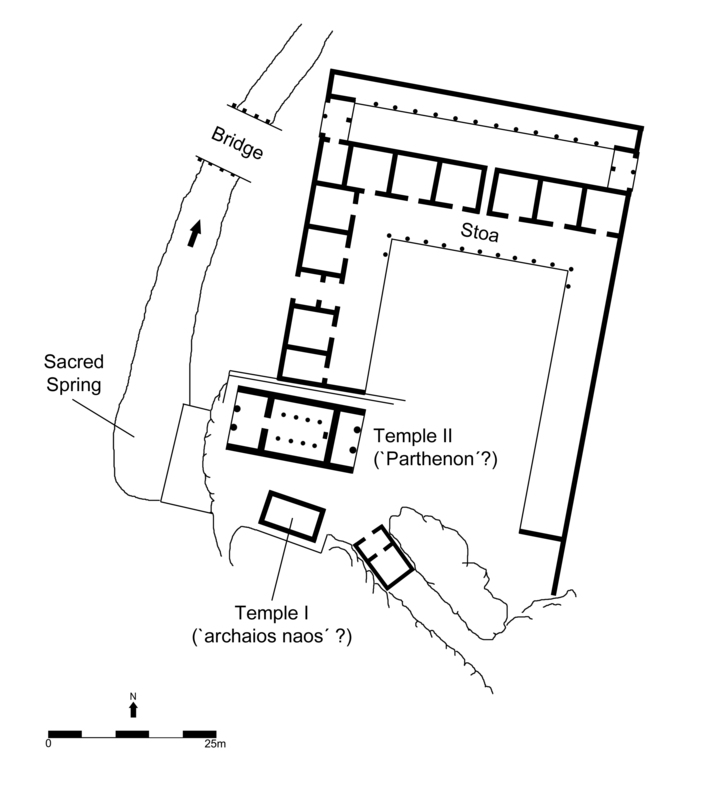 The Foundation, the Initiative for Heritage Conservation and the Ministry of Culture are working together on pilot projects at Kerameikos, the ancient cemetery of Athens, and Brauron in Attica. The two sites take advantage of existing touristic infrastructure. At the same time, I warned about distinguishing between types of tourism – they are focusing on high-end, which is good, because not only is the return better, but the impact on the site is less than mass tourism. I also advised that they insure a long-term entity to maintain the site through captured revenue, otherwise the effort will simply create another unsustainable state subsidy. My cultural tourism bottom line? Capacity, control and capture. Identify your market, your site capacity and critical mass; control the process to insure the site gets saved; and capture the revenue so it benefits the local community. Plenty of obstacles, but the right goal. You are currently browsing the Time Tells blog archives for April, 2014.